EYEVAN 7285: GLASSES OR WORKS OF ART? Founded in 1972, EYEVAN 7285 has been a fashion pioneer in the Japanese eyewear industry for over four decades. Their innovative designs have been regarded as more like pieces of art than industrial products. It is undeniable that Japanese glasses have become increasingly popular in recent years. This is of no surprise to us, as Japan has been one of the top leading eyewear manufacturers in the world, year after year. Throughout our numerous trips to this amazing country, we rapidly fell in love with Japan’s refined and innovative eyewear craftsmanship. The Japanese have always been known as perfectionists when it comes to their work, and a great deal of patience and precision goes into making each and every frame. Among all the frames produced, EYEVAN 7285 is particularly known for its exceptional high quality. Each pair of glasses is rigorously handcrafted one by one through about 400 processes by the most skilful artisans. Mind-blowing, right? With our brand selection process, the aim is to make a difference by finding high-quality brands you wouldn’t find elsewhere. When we first discovered EYEVAN 7285, we were aware that in the UK, not everyone was familiar with this brand. This is why it has been part of our unique collection from the beginning. 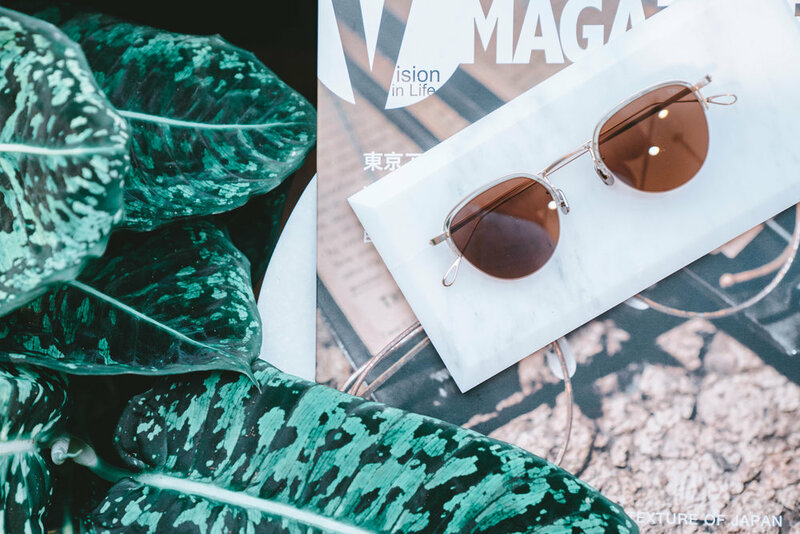 However, its combination of professional technology and unique and retro styles has made EYEVAN 7285 one of the most exciting eyewear brands on the scene right now. Their vintage-inspired but contemporary styles, influenced by original hand-drawn sketches in the company’s 1972-1985 archive (hence the ‘7285’), have secured a fan base around the world. Count us as fans, definitely. Both the opticals and sunglasses feature frame shapes that remind us of the company’s past, such as the round tortoiseshell and 1970s-era mustard coloured frames. Whilst also incorporating the most ultra-chic and state of the art designs, such as their sleek monochrome acetate frames. Their beautifully made designs are truly artful. EYEVAN 7285 takes inspiration from a variety of objects such as hand mirrors, telescopes, French cutlery from the 1940s and eye test equipment from the 1970s to transform their designs into pure artistry. Who wouldn’t want to walk around carrying a piece of art? After all, art is not art if it’s not shown to the world. EYEVAN 7285’s frames have become a fashion statement for many. Forget about glasses being a simple tool for eye correction, they are so much more, partly by virtue of this exceptional brand. Since their relaunch in 1972, EYEVAN became one of the first companies to highlight the concept of ‘eyewear for dressing as a fashion item’ and a form of self-expression. As Hireka Nakagawa, director of EYEVAN, says: “Glasses and fashion are inseparable”, and we could not agree more. To shop for EYEVAN 7285, visit us at 227-229 Old Brompton Rd, Earls Court, London SW5 0EA or shop online.